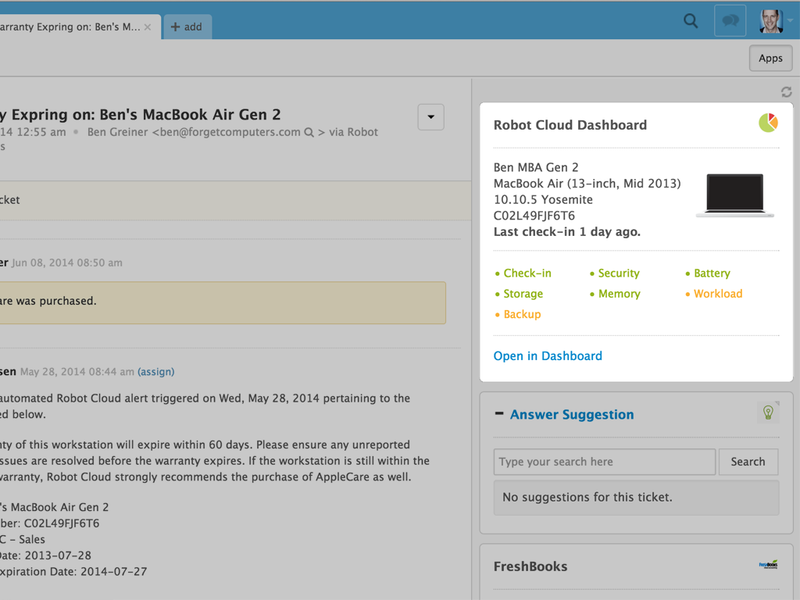 Respond to tickets more efficiently with more context and up-to-date device data using Robot Cloud Dashboard for Zendesk. View critical and often referenced Apple device information right next to tickets. Plus, get one-click access to more detailed information within Dashboard. Install the app to quickly reference relevant device data from your ticket sidebar. Know immediately if a device has problem areas, or hasn’t checked-in recently and the data is out-of-date. 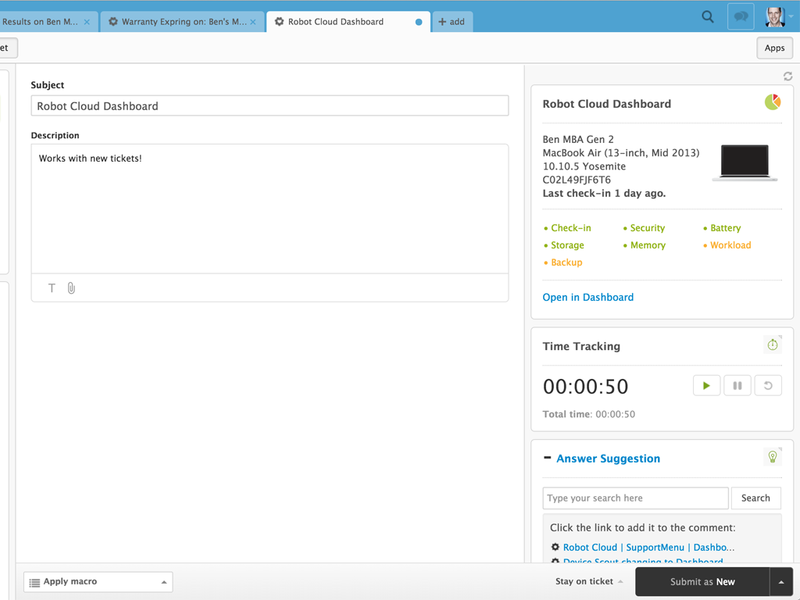 Copy and paste device serial numbers to search Zendesk for a history of alerts. Anyone with a Robot Cloud subscription, or a Dashboard account can use this app. 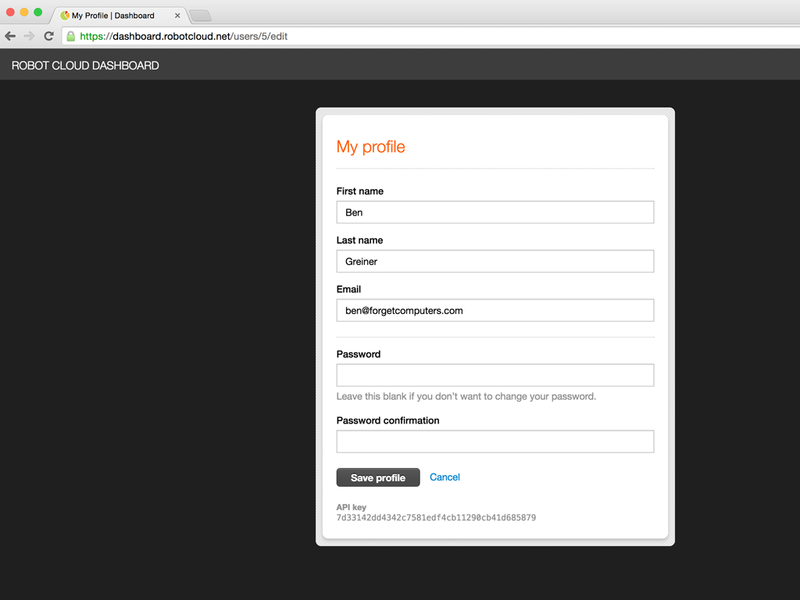 If you run your own JSS, you’ll need to add the Dashboard: Email Addresses Extension Attribute. You can find this in your Dashboard documentation. Paste the API Key, click Install app and you're done!